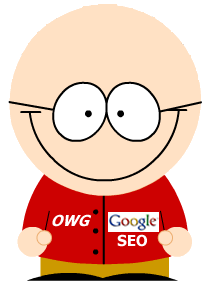 First off let me say that no Search Engine Optimisation company can guarantee you top rankings in organic search results (SERPS). As such please don’t think that this is a blue print for SEO top rankings, it isn’t, what it IS, is a paper to help you understand the methodology that will set you on the road to bettering your rankings, and understanding the workings of Search Engine Optimisation (SEO). It is hoped that the information in this paper will take you up the road by something in the scale of two years or more from a standing start. The search engines are constantly tweaking their methods for evaluating pages (algorithims), and as such this paper is aimed to prevent you ‘algo chasing’ the flavour of the moment, and setting you on the longer road to better long term rankings and, more importantly, traffic and conversions of visitors into clients. One thing that you should always keep in mind is this simple bit of logic, People need information to allow them to make a decision, and as such, the aim of your site should be to provide enough information to help them make the decision. Then and only then can you ask them for the order. The job of Optimiser is to work with the search engines, not against them, it is not a war, it is not a fight, it is a client pupil relationship, with the job of the SEO being that of the teacher, and the Search Engine the pupil. It is the job of the SEO to make sure that the course content is delivered to the pupil in such a way that they completely understand it, and go away educated as to what your site is all about as a whole, and where each page fits into it. Most websites are lousy, make no bones about it, they are piles of donkey poo! The sites that are not DP are the ones doing the business (no pun intended), and this is mainly because they are well thought out and well presented on all the basics. I’m looking forward to this. Thanks.